Replacing or refacing your cabinets are not your only options! You may consider having your cabinet finish repaired and restored with the cabinet restoration process. Customers who are experiencing wear and tear around the sink base cabinets or those who are happy or content with their cabinetry can benefit from this. Restoring your cabinet finish is the fastest and least expensive way to update your current kitchen cabinets. Not only does it return them to a “like new” condition, it also protects and extends the life of your cabinets. Just like a car needs an occasional tune-up, so does your wood cabinets. A one day maintenance service will protect and preserve your cabinetry for many years to come! This can save you thousands by maintaining the cabinets you already have! We recommend having your cabinet finish cleaned, repaired and restored approximately every two years. Kitchen Make-Overs’ starts the cabinet restoration process by masking and covering the kitchen appliances, countertops & floors. Plastic sheeting is put up around your kitchen. Next we clean the cabinets with a solvent-based cleaner to remove any build-up (grime or grease) or lacquer finish that may be flaking off. This is an important part of the process. The cabinets must be perfectly clean before we can repair the color and finish. Kitchen cabinets can become very dirty just by everyday use: grease particles become airborne when cooking, spills and splashes or touching and grabbing cabinet doors and drawer fronts. Once the cabinets are cleaned properly, matching stain color is then applied to damaged areas, evening out the color. Finish that has been worn off to the bare wood should be repaired immediately to avoid letting oil to get into the wood, making the color repair more difficult. Some people may try to do this repair themselves, which we don’t recommend. You may have the original stain bottle but it might not match. Cabinet Finishes change over the years and the wood may take the stain differently than if it had never been finished at all. The last step to cabinet refinishing is to seal the cabinets. We do this by applying three coats of a new finish (gloss, semi-gloss or matte) so your cabinets are completely sealed and protected. 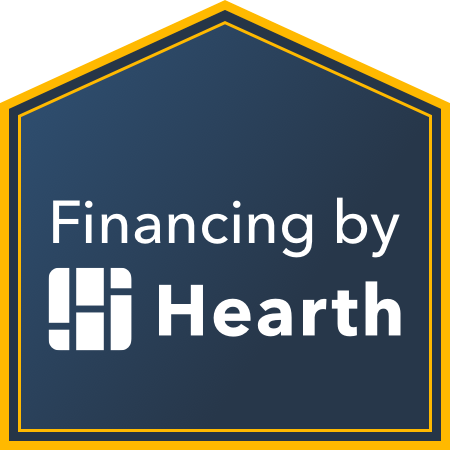 When homeowners have this service done they are saving thousands of dollars! Comparing cabinet refacing pricing (8K-15K) and new cabinets (15K-25K) cabinet refinishing is very affordable. 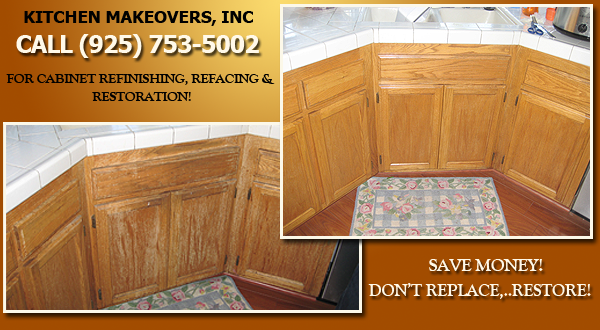 If you like the color and style of your cabinets, restoration is a fast and inexpensive solution. Most jobs are completed in just one day! This service also works for stair rails, interior wood doors and bath vanity cabinets. These kitchen cabinet restoration and cabinet refinishing tips will help you change the appearance of your cabinets without having to spend a small fortune. You will be most pleased with the results and even happier since you didn’t have to break the bank for your cabinet restoration or cabinet refinishing project. Want us to help? Contact us here for a free cabinet restoration consultation.